Q: What are the signs that your Dog suffers from travel stress? 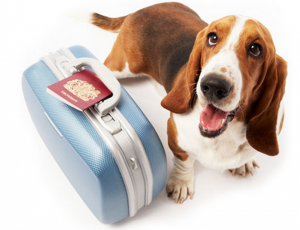 You are at:Home»Pet IQ»Q: What are the signs that your Dog suffers from travel stress? With Memorial Day Weekend approaching us, many pet owners travel for the long weekend taking their pets with them.Many dogs love to travel, but for some this can be a stressful experience. Fortunately, there are plenty of things you can do to help your dog cope with car travel. If you plan on traveling with your pet, watch out for the signs of travel stress in your dog and be aware of the ways to reduce it. Tips on how to eliminate your pet’s traveling stresses can be read here.